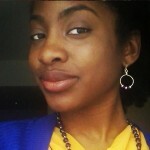 Krystal Miller, L-MSW | Purposefully Pretty Inc.
Krystal Miller is a young go-getter, born and bred in Queens, NY . As a social worker, she strives to support youth, adolescents and families so that they can be successful, despite any barriers that may present themselves. Krystal understands the need of positive female mentors to keep young women on a path to their purpose because that is what was afforded to her. By joining the PurposefullyPretty team, Krystal has found another way to give back to her community that helped to mold her. Krystal is excited to meet the young women who want to be PurposefullyPretty and hopes to meaningfully touch as many lives as she can.